Many of my blogs discuss the unfair advantage homeowner and condo associations have in disputes with homeowners. These unfair advantages are the result of the high cost of litigation and, in the case of HOAs, lack of regulation by the State of Florida. Let's face it -- rather than pay tens or hundreds of thousands of dollars to litigate a dispute with an association, it's cheaper to comply with their demands. This scenario may be changing. In the past two months I have learned of two associations who are now facing high deductibles and high premiums for the association's insurance because the association decided to aggressively litigate. It seems the insurance companies are evaluating the risks these associations are taking and the liability it exposes for the insurance companies. We can only hope more insurance companies take this approach because it could have the effect of lowering the number of cases being brought by associations. The primary focus of our law practice is dedicated to helping homeowners save their homes, whether it is from a mortgage foreclosure or a foreclosure by a condo or homeowner association. Mortgage foreclosure defense is an area of law which changes frequently. As new issues with mortgages are discovered, defense attorney proffer new arguments in court and the judges rule on these new issues. The condo and homeowner associations push for new legislation each year to try and resolve the issues they face from the mortgage foreclosures. The single biggest mistake I see homeowners making is to not pay the association while the bank is foreclosing. Many owners believe if the mortgage company is foreclosing, the association can't. That is completely not true and the association can foreclose quickly because there aren't any defenses available to stall the process. In recent years the federal bankruptcy courts in Florida have adopted a mortgage modification mediation program for owners to obtain loan modifications through a Chapter 13 bankruptcy. I have come to realize this is not only a valuable tool to save the home, but makes the most sense. 1. While you are in foreclosure your credit is damaged. The quicker you resolve it, the quicker you can build credit. 2. The stress of dealing with a foreclosure every day for years is not worth it. 3. Even if you have good arguments and a chance of winning your foreclosure case, there is always the risk you will not win. I firmly believe the best option is to deal with it head on and resolve it now instead of re-living it day in and day out. What are the drawbacks? The biggest drawback is having the first monthly payment for the bankruptcy trustee. If you're used to paying your bills each week, you now have to be ready to pay once a month. There are ways to help make sure you can do this, either by setting up a step plan (lower payments the first few months) or strategically filing so you have a few weeks to save up the first payment. There are other drawbacks. Some people have a hard time handing their finances over to the trustee because they are used to being in control of their own money, but if someone has reached the point they are about to lose their home, letting someone else pay your bills could very well be a blessing. I firmly believe the benefits outweigh the drawbacks. How do you stay out of the bull's eye of your HOA and not risk losing your home? You need to know your rights and duties to protect yourself and your home. It's not easy when we have created this monster that is a perfect storm for corruption because HOAs are not regulated by the state. First, you need to know you cannot withhold payment of assessments under any circumstances. It doesn't matter your HOA is not keeping up the community or even if the board of directors is illegal using the funds for their own personal use. You are still required by law to pay the HOA. One of the only defense to non-payment if the HOA files to foreclose is you actually paid and it was not credited properly to your account. This is difficult, if not impossible to prove, so the likelihood of defeating a foreclosure is slim. The other defense, equally difficult to prove, is lack of notice of the assessment increase and/or the meeting to approve assessment increases. The HOA is required to mail notice to each homeowner 14 days in advance and include in the notice an assessment increase is being considered. If not, the meeting is improper. Do not, however, withhold payment thinking you can win this. Risking your home to make a point is not a good idea. Your best option to resolve this is to request a payment plan. If the matter is has been turned over to the HOA attorney, and it has if there is a lien, deal with the HOA attorney and not the HOA directly. You are wasting time and money if you don't work with the HOA attorney. By law the HOA is entitled to all assessments, interest, late fees and attorneys' fees. Any payments are applied to all non-assessment charges first and assessments last. Sending a check directly to the HOA will have no effect except to increase attorneys' fees and you will continue to be past due. If the HOA and its attorney refuse to give you a payment plan, consider a Chapter 13 bankruptcy. A Chapter 7 bankruptcy will not save your home, but a Chapter 13 will. If you don't receive a statement or invoice for assessments call the HOA or property manager to get one. Not receiving a bill for assessments does not relieve you of your duty to pay assessments. There is no law requiring the HOA to inform you your account is past due. They are only required to give you an intent to lien notice 45 days prior to filing a lien, which means you already have incurred other non-assessment charges and attorneys' fees, and another notice 45 days prior to foreclosing on your home. Covenant violation disputes can end up having the same issues as non-payment of assessments when there are fines imposed that are unpaid. The best way to resolve covenant violations is to contact the HOA and let them know of your intention to comply or resolve the situation. Any and all improvements to the outside of your home require an application to the Architectural Review Board or Committee (ARB or ARC) with few exceptions. It's better to submit an application you don't need approval for than to find yourself in a war with the HOA. The HOA must send you notice of the violation and if they intend to impose fines, they must give you at least 14 days notice a hearing will be held before an impartial committee of at least three people to vote on imposing a fine. Remember my earlier comment about corruption? While the members of the fining committee cannot be board members, employees, or agents of the HOA, or their family, the HOA will recruit people who will do what the HOA wants and fine you. Correct the violation quickly if you get this notice. Finally, the best way to protect yourself is to get involved and get your neighbors involved. Corruption is easy when no one is watching. Since the State of Florida has yet to start watching, you and your neighbors should. People are less likely to break the law if they think they will be caught. A more apt title might be "Why Lawyers Don't Take HOA Cases on Contingency." I am frequently asked to take HOA and condo cases on a contingency, but these cases are not the types of cases lawyers can litigate on a contingency, meaning you only pay the lawyer if you win. Why? There are no big money damages, that's why. If they were I would be set for life. HOA cases are ripe with corruption. They are unregulated by the State of Florida. History has shown us when you give people power without any checks and balances you set up the perfect storm for a corrupt dictatorship. The HOAs, without any state regulation, will do what they feel they need to in order to have everyone follow their rules and restrictions. If you are the homeowner being victimized by the HOA for not being a good citizen and doing what you are told, you feel you have a good case worth a lot of money. In reality, unless you have sustained physical injuries, you're not going to get a big settlement. What's the case worth? If you lucky enough to win, you will be reimbursed "reasonable" attorneys' fees and costs. You will not get the full amount -- that is rare. Damages in these cases, which take 3 - 4 years to get to trial, sometimes longer, may get you a few thousand dollars, or in extreme cases more, but let's do the math. Your case will cost $135,000 - $150,000 to litigate (more if the HOA misbehaves during the process and your attorney has to keep busy dealing with "HOA drama" during the case). Even if you 90% of your fees back that's $121,500 - $135,000. If you get even $20,000 in damages, this puts you at $155,000 with the lawyer getting 40% (if it goes to trial) or $62,000. The lawyer will invest $150,000 for three to four years to receive less than half back. Not a good business for the lawyers. The HOAs know this, because their lawyers tell them, and their behavior goes unchecked because they know the likelihood of someone suing is slim. There are ways to protect yourself from being victimized, but you have to get involved and get your neighbors involved. 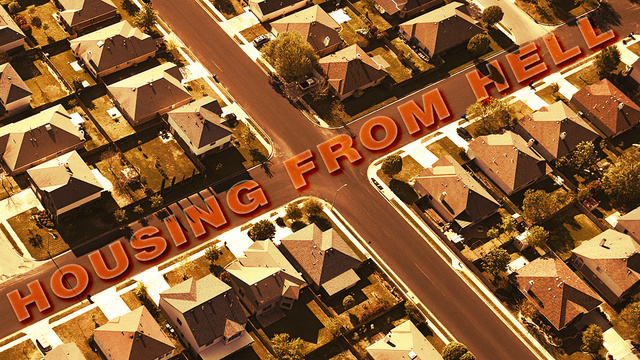 If the State of Florida will not keep watch over the HOAs, then it's up to the homeowners. At least don't make it easy for them to run a dictatorship. There are bills being drafted right now that would require, if passed, for the State of Florida to create a division within the Department of Business and Professional Regulation to regulate homeowner associations. Please support the bill! It is urgently needed. Contact your elected leaders and tell them you support the regulation of HOAs. No matter how nice your community is now, it doesn't take much to change your little slice of heaven into a nightmare. A new board of directors, a new property manager, a new association attorney, or the neighbors from hell can all wreak havoc on a community and create misery for everyone. The misery comes in the form of higher assessments for legal fees, those intimidating covenant violation notices and possible fines, past due assessments which spiral out of control with legal fees, interest and late charges, or what I refer to as "neighbor wars," often fueled by one or the other claiming the association supports their position. Avoiding conflict is best achieved by understanding the governing documents, understanding how an association functions and operates, understanding the various people managing and operating the association, and understanding common problems that may arise between owners or owners and the association. The biggest complaint I hear are owners who feel victimized by their associations, the association's attorneys, or the property manager. While it does happen and unfortunately frequently, knowing what motivates the actions and conduct of your association helps to keep you out of the crosshairs. Once you have that target on your back there is little chance of ever living in peace. Even if you are successful in litigation, chances are, unless you move, you won't enjoy living in the community and there will always be animosity. It takes all kinds of personalities to make up a community and you cannot not possibly get along with everyone or make everyone like you. Add to the mix a board of directors of a private corporation with a contract you entered into waiving many of your property rights and you have a recipe for disaster if you are not prepared and informed. While a have a theory the worst of board members are those who failed at their careers and decided to run your association so they can have their egos stroked, many board members start out with good intentions. Some have what it takes to do a good job without making enemies, but many are just average people with the same stresses in life as everyone else -- jobs, family, finances, mortgages, health concerns, etc. Board members take on a voluntary job (at least they better not be paid or they are violating state law) and try to manage the community with limited funds. The association, nine times out of ten, has a revenue stream that is generated by assessments only. Many owners lose sight of that fact and assume it's a corporation with profits and a fat bank account. Nothing is further from the truth. Most associations are non-profit organizations with a limited budget based on the amount of assessments per household and an average of 25% to 40% of those households are not paying the assessments and are in a mortgage foreclosure. Think of it like this -- what would you do if your paycheck was cut 40%? Ouch! On top of that you have everyone in the community complaining assessments are too high and at the same time complaining the pool needs repairs, the clubhouse needs a new roof, the entrance sign needs a face lift -- the list goes on and on. It's no wonder these volunteers reach their burn out level quickly. Now consider the fact associations are either not regulated at all or have little regulation. Currently the State of Florida does not regulate homeowners associations except for elections. Hopefully that changes in 2014. The State does regulate residential condominiums, but not commercial condominiums and hotel condominiums. The regulation that does exist is limited and cannot include claims for personal damages or an assessment dispute. Add to this lack of regulation a property manager who is required to take 18 hours of class work to get a license, if they have a license. State law requires the property manager, or community association manager (CAM) and the manager's firm to each be licensed, but there are a number of unlicensed managers in the industry. I am not trying to bash the CAMs -- there are a number of excellent CAMs out there who are hard working and have high ethical standards, but just like lawyers their profession gets a bum rap for the bad apples in the bunch. Next added to the mix of things is the association attorney. Associations want aggressive attorneys because the board members are afraid of being personal sued despite being protected by the Business Judgment Rule. The Business Judgment Rule protects morons, idiots and those who just make plain honest mistakes. It also protects the association to an extent. There are some overly aggressive association attorneys who count on owners not having the $100,000 or so it takes to fund a lawsuit. Without state regulation of the association and a high price tag on justice, its the perfect storm. Every day I get calls from people who ask me to take their case on a contingency because its a good case, it will generate publicity for me or its extremely unjust. Its not easy for me to tell them a) I don't have the resources to fund their case and b) unless you have a physical injury that generates big money damages no law firm will take it on a contingency because it just not a good business decision to tie you your working capital with no return on investment, if any. So how do you avoid the perfect storm? Let's break it down into two categories: 1) past due assessments and 2) violations. Most owners do not realize there is almost no defense to not paying your assessments. Its your absolute duty to pay your assessments, even if you think the association failed to properly notice a meeting to vote on an increase or is misappropriating (stealing) funds. The only defenses available are if you paid the assessments and can prove it, the association refused your payments, the association did not provide notice before filing a lien or foreclosing, the board met in secret to impose the increase or the board did not notify the community of the increase. Even with those defenses it is hard to win against the association. If you get past due in assessments you will always be past due until you pay the total amount due! I leave that as a stand alone statement so everyone can understand the importance of this. By state law any payments are credited to all charges other than assessments first. Assessments are credited last, so anything less than 100% of the amount demanded means you are past due and the association can lien and foreclose on your home. There is no minimum amount. Even though you may owe them $100 and your neighbor owes them $10,000, they can foreclose on you first. Its all about which owner the association is most likely to recover from with the least amount of legal fees expended. Or it could be they don't like you, but the court recognizes the association does not have the funds to go after everyone at once and will let them pick and choose who to go after without any consequences for their selections. Before you jump to any conclusions, look at it unemotionally. Is it smarter to go after the owner who owes $100, is current in the mortgage, has a job and generally pays any debts or go after the owner who owes $10,000, is in a mortgage foreclosure, has no job and is likely to file bankruptcy? Even if the association forecloses, if there is a mortgage on the property it is only a matter of time before the bank forecloses on whoever buys the property at the foreclosure auction, which is often the association. If there is already an active mortgage foreclosure the bank can file a motion and get the property from the association in six to eight weeks where it takes years to get it from the homeowner. What's the deal with all that interest, late fees, administrative charges and attorneys' fees? Well, as I said before, the only source of revenue an association has is assessments and there has to be consequences to not paying assessments or everyone would withhold them. The association cannot waive the attorneys' fees or they are passing on costs you generated to your neighbors and your neighbors could bring a lawsuit against the association. Assessments can definitely not be waived or the association could be sued for not enforcing the declarations. Do associations abuse this and over charge these fees? Yes, but I don't blame the associations themselves as much as I blame the property managers and the lawyers. Like I said -- its the perfect storm -- an unregulated business where those who do business with the association are guaranteed to get paid. All the association has to do to pay its bills is increase assessments. Greed is a problem. Owners and board members alike have to watch out for property managers working with attorneys to generate billable hours for both. A word of caution -- don't try to plead financial hardship, death, disability, job loss or any other personal issues. The courts cannot consider this when they rule on these cases. These claims are not a defense to not paying assessments. If you want to keep the roof over your head pay the mortgage and the association. I would rather skip a mortgage payment then the association payment. At least you can negotiate with the bank -- eventually. Next on the list is covenant violations. The best way to avoid them is to know the rules! Period! You need approval of your association to change anything. If you make that assumption you should stay out of trouble. Its better to ask for permission and not need it then to not ask and try to get a lawyer's forgiveness. You can count on the lawyer being involved. 1. An association cannot prohibit or prevent an owner from installing Florida Friendly Landscaping. Its a matter of public policy and important to conserving our natural resources. You are still required to get your association's approval. No one has figured out how to deal with the issue of what to do when the association denies your application and the law says you can do it anyway. There are cases pending in court over this. Some associations have been wise enough to realize their lawyers were probably looking at generating billable hours and its a losing proposition for them -- they dismissed their cases. Other aren't so smart. 2. You have a right to a hearing with 14 days advance notice of the hearing before you can be fined. While this part of the statute was passed as a matter of public policy the statute is written as if to imply associations have a right by statute to fine owners. The previous rule, before this statute was passed, was an association could only fine you if the Declarations, Bylaws and Articles of Incorporation authorized fines. My position is this is still true and there is no pubic policy reason for imposing fines by statute, but its a lot cheaper to pay the fine than to fight in court and possibly an appeal. Many associations also believe if you don't show up to for the hearing the fining committee can impose the fine without having the hearing. Wrong!!! But again, is it feasible to spend lots of money to fight a fine? 3. A buyer is liable for the past due assessments of any previous owner. The statute only addresses assessments and not late fees, interest and attorneys' fees. While it is industry practice to charge all these to any buyer, there are cases pending challenging this. Stay tuned. One pet peeve I do have is charging a new owner the attorneys fees for the association attorney's involvement in a mortgage foreclosure. Associations are named as a defendant in a mortgage foreclosure because they have a competing lien and the bank cannot claim the 12-month cap on liability if the association is not named. There is no rule of civil procedure that allows one defendant to assess their legal fees against another. I would think the Florida Bar would have issues with this as well. It has also been the industry practice to not write off any past due assessments and other charges after the bank pays their 12-month cap and hold this for the next buyer. The Third District Court of Appeals ruled against that on August 14, 2013. It sends a clear message. 4. No stealing by board members! Finally!!! If a board member is arrested for a crime involving the association the board member is automatically removed from office as a matter of law. Did I hear a big "WOOHOO" out of Davenport, Florida? I am eternally grateful to the Polk County State Attorneys' Office for a job well done. 5. Old law, but important: before you can sue your association you must engage in pre-suit mediation for homeowner associations and arbitration for condominium associations. There are exceptions as noted above for assessment disputes and, for arbitration, personal damages. 6. Another old law that's important: if your board of directors is doing a lousy job you can initiate a recall and remove them. This is much easier and less expensive than a lawsuit. Remember pay your assessments and ask permission. Do those two things and you can avoid a lot of heartache and legal fees. While it goes against my anti-establishment nature, most association battles are not worth it emotionally and financially. While I didn't touch on neighbor-on-neighbor disputes, which are virtually impossible to resolve, my only advice is to put yourself in their shoes and ask yourself would you be annoyed living next door to you? Good luck and next time buy farmland. For any HOA organized after October 1, 1995, the Bylaws, Declarations (also called CC&R's) and Articles of Incorporation have to be recorded in the county records where the HOA is located. Prior to that only the Declarations were required to be recorded. An appellate court issued a ruling stating no restriction can be enforced against a lot owner unless the document is recorded in the county records, so as a precaution most HOAs have recorded their Bylaws and Articles even if they were created prior to 1995. Subsequent rulings have caused HOAs to record their "Rules and Regulations" as well. Rules and Regulations, which can be created by a vote of the board of directors, without a member vote, are meant to clarify restrictions and cannot create new restrictions. To make things more complicated, the courts have said a lot owner is on notice to check for deed restrictions if it is obvious from the general scheme of the neighborhood certain things may not be permitted. For instance, if every house has clay tile roofs you are on notice you cannot have a different type of roof. Also, if there is a sign on the entrance with the name of the subdivision, that is a clear sign you should ask about deed restrictions and is sufficient notice. One issue that comes up often is the waiver of enforcement of restrictions. When an association fails to enforce a restriction it can lose the right to enforce it in the future through the Doctrine of Waiver. Some courts have held the period of time to be one year (Third District Court of Appeals), some have held it is a five-year period (Fourth District Court of Appeals), while the Fifth District Court of Appeals said it could be either based on the type of claim sued upon (injunctive relief for specific performance or breach of contract). An association can enforce a previously waived restriction by issuing what is called a "Chattel Shipping Letter," named after a case by the same name. It requires the association to pass a resolution by board vote to start enforcing the restriction again and to send a copy of the resolution to all owners. As a word of caution association should also record such a resolution in the county records. What's Constitutes A Board Meeting? Board meetings are a big source of complaints when it comes to HOAs and condo associations. Fla. Stat. 718.111 governs BOD meetings of condo associations or COAs and Fla. Stat. 720.303(2) governs meetings of HOAs or homeowner associations. There must be a quorum (majority) of the BOD present in person (or by telephone conference as long as the attendees can hear the member appearing by phone or Skype) in order to have a board meeting and to conduct board business. Secret voting and proxies are not allowed for board members to vote or attend. If there is not a quorum present, then the BOD cannot conduct business and any actions would be null and void. It would also be a breach of fiduciary duty to conduct a meeting without a quorum. You are entitled to record all board meetings and the board cannot prohibit this. They also cannot ask why you are recording. If a board meeting is being conducted in violation of the statutes, you should record the meeting and object to the meeting being conducted. In my practice it is very common for clients to come to me after their homeowners association has issued them a fine or filed a lawsuit against them for completing improvements on their home without approval of the Architectural Review Board ("ARB") or Architectural Review Committee ("ARC"). Often these clients submitted an application to the ARB or ARC and did not receive a response. After waiting a considerable amount of time they then proceeded with the work on their home. Many associations have a provision in the Declarations or Bylaws stating if approval or denial is not received in thirty (30) or, sometimes, sixty (60) days the application is automatically approved. If your documents have such language, you will need to be prepared to prove you submitted an application. My recommendation is to send any application by certified mail and be sure to keep a copy of it. If you are implementing Florida-Friendly Landscaping, please keep in mind you still need to submit an ARB or ARC application. While the Association cannot prohibit FFL, it can go after you for not completing the forms. Added disciplinary proceedings for community association managers for violations of Florida statutes Chapter 718, 719 and 720 during the course of performing community association management services under Fla. Stat. 468.436(7). Records have to be made available for inspection within 45 miles or within the county. The association can make records available to a parcel owner electronically via the Internet or by allowing the records to be viewed in electronic format on a computer screen and printed upon request. The association must permit a member to take photographic images of such records with a camera or other electronic device at no charge. The association may impose fees to cover the costs of providing copies of the official records, including, without limitation, the costs of copying and the costs required for personnel to retrieve and copy the records if the time spent retrieving and copying the records exceeds one-half hour and if the personnel costs do not exceed $20 per hour. Personnel costs may not be charged for records requests that result in the copying of 25 or fewer pages. The association may charge up to 25 cents per page for copies made on the association’s photocopier. If the association does not have a photocopy machine available where the records are kept, or if the records requested to be copied exceed 25 pages in length, the association may have copies made by an outside duplicating service vendor or association management company personnel and may charge the actual cost of copying, as supported by the vendor invoice including any reasonable costs involving personnel fees and charges at an hourly rate for vendor or employee time to cover administrative costs to the vendor or association. Fla. Stat. 720.303(6) updated to require the budget to designate the components for which the reserve accounts may be used if the developer establishes reserves. It appears this was intended for all reserves, no matter how established, but it was not written that way. Fla. Stat. 720 has to register with the Division (Department of Business & Professional Regulation) by November 22, 2013 by providing detailed information about the association. This does not include voluntary associations. (1)(a) Within 90 days after being elected or appointed to the board, each director shall certify in writing to the secretary of the association that he or she has read the association’s declaration of covenants, articles of incorpora- tion, bylaws, and current written rules and policies; that he or she will work to uphold such documents and policies to the best of his or her ability; and that he or she will faithfully discharge his or her fiduciary responsibility to the association’s members. Within 90 days after being elected or appointed to the board, in lieu of such written certification, the newly elected or appointed director may submit a certificate of having satisfactorily completed the educational curriculum administered by a division-approved education provider within 1 year before or 90 days after the date of election or appointment. (b) The written certification or educational certificate is valid for the uninterrupted tenure of the director on the board. A director who does not timely file the written certification or educational certificate shall be suspended from the board until he or she complies with the requirement. The board may temporarily fill the vacancy during the period of suspension. (c) The association shall retain each director’s written certification or educational certificate for inspection by the members for 5 years after the director’s election. However, the failure to have the written certification or educational certificate on file does not affect the validity of any board action. (a) Comply with the requirements of s. 617.0832. (b) Enter the disclosures required by s. 617.0832 into the written minutesof the meeting. (c) Approve the contract or other transaction by an affirmative vote of two-thirds of the directors present. (d) At the next regular or special meeting of the members, disclose the existence of the contract or other transaction to the members. Upon motion of any member, the contract or transaction shall be brought up for a vote and may be canceled by a majority vote of the members present. If the members cancel the contract, the association is only liable for the reasonable value of goods and services provided up to the time of cancellation and is not liable for any termination fee, liquidated damages, or other penalty for such cancella- tion. (3) An officer, director, or manager may not solicit, offer to accept, or accept any good or service of value for which consideration has not been provided for his or her benefit or for the benefit of a member of his or her immediate family from any person providing or proposing to provide goods or services to the association. If the board finds that an officer or director has violated this subsection, the board shall immediately remove the officer or director from office. The vacancy shall be filled according to law until the end of the director’s term of office. However, an officer, director, or manager may accept food to be consumed at a business meeting with a value of less than $25 per individual or a service or good received in connection with trade fairs or education programs. (4) A director or officer charged by information or indictment with a felony theft or embezzlement offense involving the association’s funds or property is removed from office. The board shall fill the vacancy according to general law until the end of the period of the suspension or the end of the director’s term of office, whichever occurs first. However, if the charges are resolved without a finding of guilt or without acceptance of a plea of guilty or nolo contendere, the director or officer shall be reinstated for any remainder of his or her term of office. A member who has such criminal charges pending may not be appointed or elected to a position as a director or officer. (5) The association shall maintain insurance or a fidelity bond for all persons who control or disburse funds of the association. The insurance policy or fidelity bond must cover the maximum funds that will be in the custody of the association or its management agent at any one time. As used in this subsection, the term “persons who control or disburse funds of the association” includes, but is not limited to, persons authorized to sign checks on behalf of the association, and the president, secretary, and treasurer of the association. The association shall bear the cost of any insurance or bond. If annually approved by a majority of the voting interests present at a properly called meeting of the association, an association may waive the requirement of obtaining an insurance policy or fidelity bond for all persons who control or disburse funds of the association. Also removes the requirement of nominations from the floor at elections if the governing documents provide for nominations of candidates before election. Elections are not necessary if the number of candidates does not exceed the number of vacancies. (f) Upon a receiver for the developer being appointed by a circuit court and not being discharged within 30 days after such appointment, unless the court determines within 30 days after such appointment that transfer of control would be detrimental to the association or its members.For purposes of this section, the term “members other than the developer” shall not include builders, contractors, or others who purchase a parcel for the purpose of constructing improvements thereon for resale. (2) Members other than the developer are entitled to elect at least one member of the board of directors of the homeowners’ association if 50 percent of the parcels in all phases of the community which will ultimately be operated by the association have been conveyed to members. (5) It is declared the public policy of the state that prior to transition of control of a homeowners’ association in a community from the developer to the nondeveloper members, as set forth in s. 720.307, the right of the developer to amend the association’s governing documents is subject to a test of reasonableness, which prohibits the developer from unilaterally making amendments to the governing documents that are arbitrary, capricious, or in bad faith; destroy the general plan of development; prejudice the rights of existing nondeveloper members to use and enjoy the benefits of common property; or materially shift economic burdens from the developer to the existing nondeveloper members. Clarification of definition of previous owner in Fla. Stat. 720.3085: For the purposes of this subsection, the term “previous owner” shall not include an association that acquires title to a delinquent property through foreclosure or by deed in lieu of foreclosure. In 2009 the Florida Legislature enacted revisions to Fla. Stat. 720.3075(4), which prohibits homeowner associations from enforcing deed restrictions as to prohibit the implementation of Florida Friendly Landscaping. This language is recited again in Fla. Stat. 373.185, which is the initiative for Florida Friendly Landscaping as a means to reduce water consumption and prevent further pollution of the environment with pesticides, herbicides and fertilizers. Prior to the enactment of the 2009 revisions, the same statute prohibited such conduct if the association's documents were recorded after October 1, 2001, but with increasing water shortages and the State of Florida considering importing water from other states, the Florida Legislature found greater protections were necessary as a matter of public policy. Seems clear, right? It is if your a homeowner, but associations and their attorneys have a different idea. The right of the association to require an application to the architectural review board or committee (ARB or ARC) still exists, although many homeowners do not realize this. Why? Because it doesn't make sense. Technically, the association cannot deny your application unless it does not comply to Florida Friendly principles and I have yet to meet a board of directors with the qualifications to make such a determination. But rules and rules and owners need to submit applications. What happens next though defies all reason. Of course, I have never heard anyone brag about their board members being reasonable. The owner implements FFL with or without an application and the association starts sending those nasty violation letters. Don't get me started on those. Do they really need to be so nasty? Do the associations really think the tone of the letter is going to result in the homeowner responding with an apology and a promise to follow the dictatorship of the association? What reasons do the associations give for violating the FFL yards? I have heard everything from the association has the right to regulate FFL to the declarations require St. Augustine and state law cannot invalidate the Declarations. I was recently told a client could maintain a nice St. Augustine or Zoysiagrass lawn if the client would just pay a lawn service a monthly fee. Really? Apply chemicals monthly? Isn't this not the exact thing FFL tries to avoid? MORE CHEMICALS???? I have heard over and over St. Augustine is FFL. That is true in some areas of Florida, mostly coastal regions, but FFL is not about any one plant, grass, shrub, tree or groundcover being FFL no matter where the lot is located in Florida. FFL is about the right plant in the right place for the site conditions. It is about soil composition, soil pH, drainage, light, temperature, pests and even residual chemicals in the soil. To argue my point, I have two plants which are exactly the same and were purchased at the same time from the same store. One plant was installed on one side of my backyard and the other on the other side. One plant is now about 25' high and the other is still the same size as it was when I bought it 15 years ago. The site conditions are obviously different on the same lot 60 feet or so apart. To recap, we have a law with a clear initiative to reduce water consumption and the application of chemicals to our environment. We have a clear law allowing homeowners the right to protect the environment by implementing FFL without interference from homeowner associations. We have volumes of material available online educating the citizens of Florida regarding FFL and the nine principles. It's obvious from the materials it takes a lot of work and money to implement FFL and a good understanding of horticultural principles to obtain a fair understanding of FFL. It is clear board members, who are unpaid volunteers giving up their time to help manage the community, are not generally knowledgeable enough to make a determination of what is or is not FFL. Anyone besides me see the problem here? What Florida homeowners need are some elected officials to push for an agency to provide a neutral party to certify yards as FFL. Until we have this the associations will continue to violate homeowners and even impose fines, which can result in liens and foreclosure if unpaid. The associations have an unfair advantage in litigating these disputes because homeowners have no agency regulating homeowner associations and cannot afford the costly litigation. The associations see this and engage in disputes they would normally lose because they know they will win purely as a matter of economics. They have a license to be the bully of the neighborhood. I encourage those associations who support FFL, or do not approve of the bully mentality as a way to rule the neighborhood, to step up and adopt FFL guidelines, obtain and understand the materials, and let your members know you support FFL. Don't end up being labeled a "bad" HOA. What a touchy topic!! I have been on both sides of this issue -- as the homeowner and as the attorney representing the association. Maybe I have too much leftover pixie dust, but I believe these situations can be resolved amicably. A question posted on www.avvo.com prompted me to write on this issue. A board member posted a question on how to deal with a member who was using objectionable language and voicing what the board thinks is incorrect information about a female board member they believe is being targeted by this member. There are several ways to approach this -- both legal and non-legal. One of the problems board members face is dealing with homeowners who may have been terribly wronged in the past and watch everything their board does under a microscope. They also have a tendency to tell everyone their story. This has evolved into a legitimate mental health diagnosis called HOA Syndrome, which is a form of post traumatic stress disorder. Understanding the other person's position is part of solving the problem, from a non-legal standpoint. which may be key in keeping the association from becoming involve in costly legal proceedings. The association needs to adopt Robert's Rules of Order and establish when members may speak at board meetings. You can limit speech to 3 minutes at the end of the meeting, but you need to enforce any policies in a uniform manner. You cannot adopt a policy designed to silence anyone, just to maintain order. I would suggest having a sit-down meeting with this homeowner and outline you concerns about the nature of his speech and allow him to voice his complaints formally. Keep and open mind and see if you can come up with a creative, out of the box solution. While you feel it is incorrect information, the homeowner feels he has the correct information, so be prepared to present proof of why he is incorrect or ask for proof of why he feels he is correct and work through the issues. Just dismissing his claims as incorrect often leads to lots of trouble for associations and not just legal trouble. All out civil wars erupt because this is a dispute between neighbors, not just the association versus the owner. If the owner cannot talk to the board without using rough, offensive language, then ask him to put his concerns in writing and you will reply in writing. While I have seen associations trespass owners to keep them out of meetings, if you do this and the homeowner has the financial means to sue, the association is in big trouble. State law requires all meetings to be open to all members. The Fair Housing Act has weighed in on this issue as well. A HUD complaint could be difficult to deal with. The association does not have the authority to lien and foreclose on anyone's property just because they feel the person is someone they don't want in their community and to even go that route in against the manifest best interest of justice. Everyone has a First Amendment Constitutional right to free speech -- even in an association and there have been associations that have taken a big hit on this in litigation trying to silence the homeowners. If you can resolve this amicably, I recommend you ask the owner to participate in mediation. While pre-suit mediation is required by statute, I don't recommend calling it pre-suit mediation unless you intend to sue. Submitting a statutory offer of pre-suit mediation will definitely set a bad tone. I know being a board member is a thankless, unpaid job and can be frustrating, but the owners entrusted the board to look out for everyone's best interest. Dispute resolution is part of that job and it can be handled diplomatically and effectively. Often associations realize they have an unfair advantage and more power, so they bully the owners instead. Shame on them. Good luck and I hope you get this worked out. Click on the link above to watch this outrageous response to a homeowners' application for Florida Friendly Landscaping. I think our legislators in Florida need to review the Stand Your Ground Law. I doubt they were thinking of HOA drama when they passed the bill, but we are about to have another Trayvon Martin issue. I represent a client in a voluntary HOA. They refused to admit they were voluntary until I stepped in to represent the client. Another homeowner is friends with my client and accompanied her to the mediation (these are elderly and/or disabled people and a co-pilot was needed for the drive). We thought all was worked out, but evidently the HOA has some hot heads in the community. The client and her friend were followed by the HOA president and two board members. When they arrived home this man began a verbal altercation with the friend. Later that day the HOA president sees the friend and her husband headed for their evening bike ride to the common areas and not only locks them out of the common areas, but pulls a gun on them when they asked him if he was going to unlock the gate. Using his cell phone to tape the incident, he announced "I fear for my life" and pulls out the gun. If this guy feared for his life by two disabled people, both smaller than him, then why did he go to their home earlier? Why did he follow them when he saw them on their bikes? Why didn't he leave after locking the gate? Yes, the law has no duty to retreat, but I don't think it was intended for you to stalk people either. I had all intentions of blogging every day, but right now I have some interesting and time-consuming cases and a trial coming up shortly. I have had to actually turn down requests for consultations, which I absolutely do not want to do because owners do not have many association attorneys in Florida willing to represent homeowners. The money is in representing the associations. I will represent associations if they want to operate fairly and not get abusive or obnoxious. I guess it doesn't need to be said my list of association clients is short. So why do I fight for owners and turn away good paying associations if they do not meet my standards? After all, I have been accused of being a little nuts for ignoring the "cash cow." The thing is if you have ever lived through HOA Hell, and I have, you would understand. I don't have to wonder what it was like to live during the Civil War -- it goes on in associations all over Florida every day. It's the association versus the owners -- those with power versus those who are powerless. It's also like being back in high school and you have to deal with the popular kids. The movie "Mean Girls" springs to mind. 1. Fighting a HOA who refuses to acknowledge the Florida-friendly landscaping statute and my client's right to conserve water and not pollute the planet with fertilizers, pesticides and herbicides (while letting board members use HOA resources to maintain their St. Augustine grass). 2. Fighting a HOA with the "popular kids" in charge who changed the Declarations by simply retyping them and passing them off as the official documents. 3. Fighting a HOA controlled by a developer who has been arrested on 8 felony counts of stealing $539,000+ from the HOA and he's still in charge! 4. Starting a fight with a condo association with a board that steals money by doing business with companies owned by the board members, charging the expenses of these companies to the condo association, and reimbursing themselves lots of $$$ for "supplies." If Governor Rick Scott signs that HOA Reform bill come July 1st the property management company helping them will be in big trouble too. And then there's the usual cases of illegal fines, illegal assessments, HOAs insisting they are mandatory when they are not and just all out bullying. So, I'll be real busy for the next four or five weeks, but I'll get back to posting my usual "how to stay out of trouble with your association" blogs on a regular basis after that. In the meanwhile, stay safe, pay attention to the rules so they can't be used against you, and never withhold assessments (even if the board is lining their own pockets with the money).